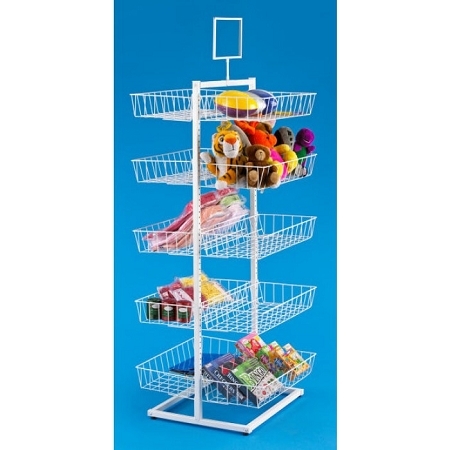 Although this double-sided basket display is priced low enough for use as a POP display, the 1" square, 18 gauge tubular frame is durable enough for use as a permanent store fixture. Includes 7"H x 11"W sign holder and adjustable floor glides. NOTE: This item ships in 3 cartons.